Tube stations are so much a part of the everyday lives of London’s commuters that few bat an eyelid at the architecture they see on the way to and from work every day. But many of these stations were ahead of their time when they were built. By combining architectural beauty with often ingenious functionality, they spoke loudly about the civic pride they espoused – and the ambitions of London Transport which they were manifestations of. 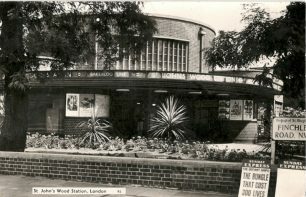 On Tuesday, 28 July 2011 English Heritage added 16 stations to the 56 already on the Listed Buildings register. There are press moulded tiles designed by Harold Stabler and made at Poole Pottery, which include a profile of Thomas Lord of cricketing fame. 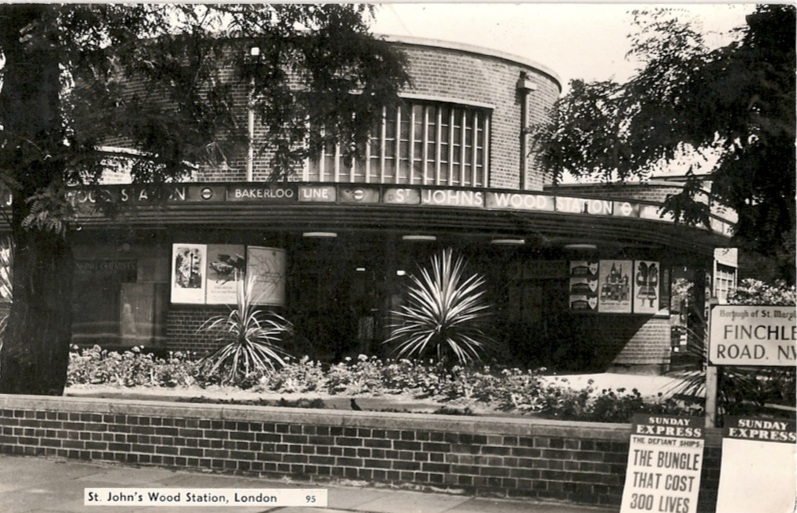 Stabler worked with Frank Pick of London Transport and designed tiles for new or refurbished stations in 1938. 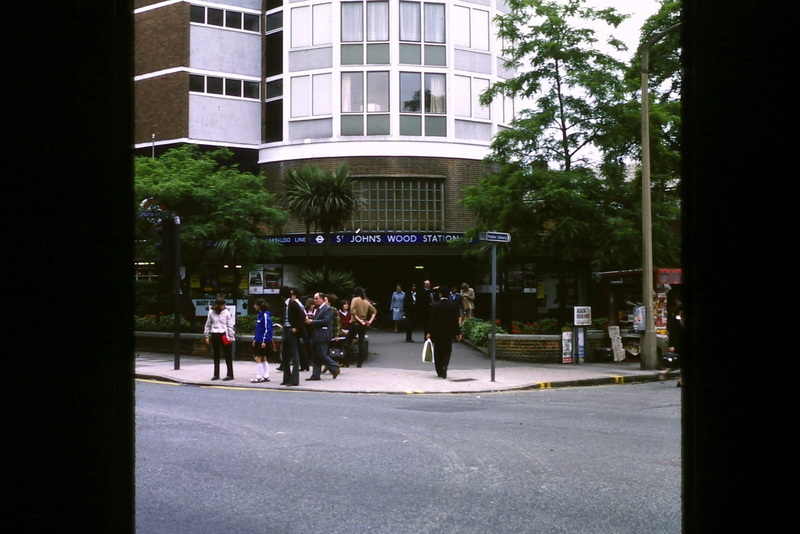 There are 18 designs altogether but only Swiss Cottage station has the full set. At the bottom of the escalators a bronze arm holds up the most charming Way Out sign on the network. Mike Ashworth in the Independent on 28 July 2011 wrote The feel of the 1930s is intact. Like Southgate, it has bronze escalators and uplighters. It’s fascinating and a really very calm environment. It wasn’t designed to be fashionable. The use of very refined detail proved very durable, hard-wearing, easy to clean. I love the tiles at platform level. They were designed to break up the space and provide visual interest. 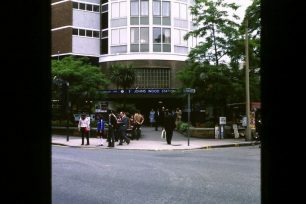 The outside of the station was altered in the post war era by having flats built above the entrance. This page was added on 17/03/2012.